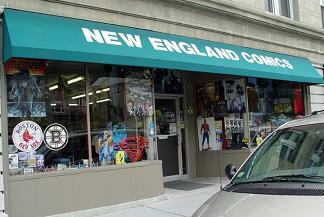 Click HERE to visit the current store page for this NEC location. From 128/95/93-Take exit 15b Route 1 South. Stay on Rt 1 south until the Nahatan Street rotary, you will see a sign saying Norwood center. Take the 1st right off the rotary 'NORWOOD CENTER' This is Nahatan st. Stay on Nahatan until you come to the center of town and take a left onto Washington st. (you will know you are in the center of town when you see a little common with a white gazebo) We're on the left before the five way intersection. Washington Street is also rt 1A in Norwood.